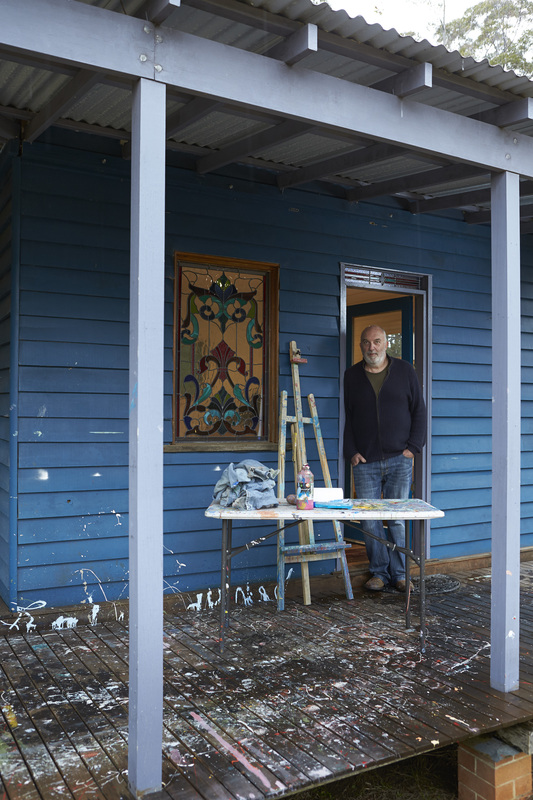 Bernie and Liz now live in Kangaroo Valley giving Bernie room to paint. He shuffles off, leading the way to the outdoor studio which to our surprise is full with furniture. He tells us he doesn’t paint in there but on the porch, the lawn, against a tree or on the underground rain water tank roof. His studio, like him is unpretentious. The day with Bernie made us feel good and it didn’t matter if he spoke in a mumble or shuffled his way around, for Bernie life is good!